A review of heat pumps, the main types, brands, the best models, how they work, what are the main features and how these features can benefit you, a homeowner who is looking for ideal home climate conditions. There are many reasons why one should consider buying a heat pump (HP) for hot water, home heating and cooling needs. Since the ground, surface water and outside air contain some heat even during the cold weather, the heat pump can take advantage of it. Yes this is an expensive piece of HVAC equipment but the energy savings are significant, when used in both summer cooling and winter heating. 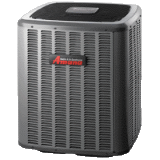 Heat pumps are ultra-efficient, Energy Star compliant, provide clean air, dehumidify when needed and can be paired with other sources of heat. Only in heating mode HP is three to four times more efficient than widely used electric heater. Some heat pumps need electricity to run, while other use cheap fuel such as natural gas, also renewable energy from the ground, pond water or outside air. Those devices that utilize both heat pump technology and electric heating elements are called hybrid heat pumps. Such a technology results in higher efficiency, low operating costs and less greenhouse emission. The heat pumps offer lots of flexibility; they can heat, cool and dehumidify the whole house or just locally – such as one room; the pollution is greatly reduced or almost eliminated; the maintenance costs are minimal and the efficiency is high. Not familiar with the efficiency terms... learn more here. For those homeowners looking to reduce energy bills in the new or old house, the heat pumps might be a solution to explore for year-round climate control. 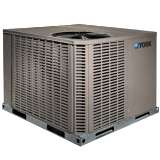 It is important to consider all the pros and cons before buying the heat pump, because this HVAC device might not be enough for all your heating/cooling needs. However, when used in combination with other types (supplementary) of HVAC devices (i.e. furnace), the heat pump can provide an economic way of heating and cooling. For the homeowners who are first-time buyers here is an overview of different HP types and furthermore in-detail explanation of how these systems work, advantages, disadvantages and main features. Air-source heat pumps are efficient HVAC devices that work by moving air from one place to another rather that creating heat. 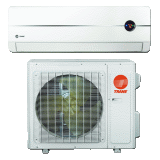 The main two types are air-to-air and air-to-water heat pumps (WSHP), first used to heat/cool room air and second to heat domestic water. Air-source heat pumps are also designed as split ducted systems that utilize one outdoor and one indoor unit both having the heat exchanger coils (evaporator and condenser), so based on the season, can perform central heating or cooling. Check out an article how to improve performance on the heat pumps. Air-source heat pumps are also found as mini-split split systems, but ductless – these are installed in every room where local climate control is needed. Air-source heat pumps can also be made as the single packaged systems where both heat exchanger coils and corresponding components are packed into one system, usually installed outside on the roof or on the ground. Bivalent heat pumps utilize natural or propane gas burner under the outdoor coil to increase the temperature of the incoming air, providing an auxiliary heat and defrosting while allowing unit to work with the lower outdoor temperatures. Ground-source heat pumps are also known as geoexchange, earth-energy systems or geothermal and are designed to extract heat from the ground water (pond for example) or earth for heating. Based on the way how GHP are installed, there are several types available. These can further be divided on open or closed loop systems in horizontal or vertical setup. A vertical setup is appropriate for areas where lot space is restricted while horizontal arrangement is more common in areas where the properties are larger – such as the rural areas. 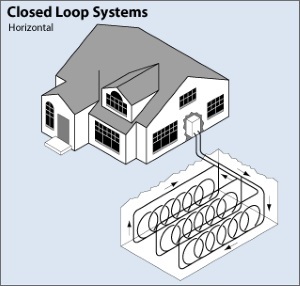 Open-loop systems drain water from well or surface water to extract the heat, and send the used water back to the nearby river or pond. Contrary to the open-loop systems that use water, closed-loop systems draws heat from the earth where the antifreeze mixture recirculates allowing the system to operate even at temperatures below freezing. This type requires less maintenance because the system is sealed and pressurized while in the open-loop mineral deposits can affect the work of the heat exchanger. DX heat pumps work similar to conventional ground-source type except that a secondary fluid is not required because the refrigerant is circulated directly through the ground-heat exchanger. Integrated heat pump is a heat pump that is used for space heating and has a heat exchanger called desuperheater. Desuperheater can be used in geothermal systems as an ad-on for water heating. It takes heat from hot refrigerant after leaving the compressor, and uses this heat to heat water. 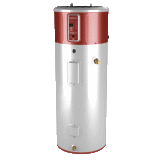 Heat pump water heater is an electric water heater equipped with the heat pump installed on the top of the unit. This is a dedicated type for water heating, while cooling and dehumidifying indoor air at the same time. There are also some heat pumps that collect heat from sources such as industrial process water, waste water, exhaust air or internal build heat. As it can be seen from above, there are many different types of heat pumps for residential home and water heating, and which one you are going to use, depends on many factors. It is important to talk to the contractor and consider all the benefits and costs before buying a heat pump, which, to be honest, cost much more that other types of HVAC devices. Note that heat pumps are economical if used year-round for both cooling and heating and that the investment pays-off only in the long run. How to choose a contractor for your heat pump? Find out here.